Manchester United face Fulham at Craven Cottage in Saturday’s lunchtime kickoff, three days before we host Paris Saint-Germain in the first leg of our Champions League tie. Ole Gunnar Solskjaer’s toughest test as caretaker manager comes on Tuesday but the Norwegian certainly won’t want to drop points this weekend as we look to close in on Chelsea in the top four. The Blues are currently two points ahead of us before their trip to Manchester City on Sunday, meaning three points for us this weekend would have us in the Champions League places, at least temporarily. Excellent performance in keeping a clean sheet in our 1-0 win at Leicester City last weekend, David de Gea will be hoping for a more comfortable game against a weak Fulham side this weekend. I can see a few changes at the back this weekend. Ashley Young has been Ole’s first choice right-back but I would expect the 33-year-old to be rested ahead of facing Paris Saint-Germain midweek. This should mean we get to see the exciting Diogo Dalot this weekend instead. 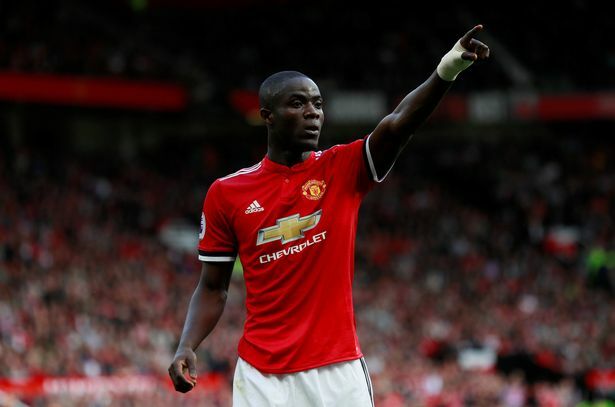 Phil Jones and Victor Lindelof has been the regular centre-back pairing under the caretaker boss but I think Eric Bailly could start alongside the Swede instead this weekend to give Jones a rest before the visit of the French champions. Chris Smalling is another option but I don’t think Ole will want to change his back four completely. With Aleksandar Mitrovic a good aerial threat Bailly would be the sensible option. The manager mentioned in his pre-match press conference on Friday morning that Marcos Rojo has been training all week – is this a sign that Luke Shaw could also be rested at left-back? Ander Herrera is going to have a busy game midweek so it would be sensible to keep the Spaniard fresh for that game which is why I see Andreas Pereira getting another run out in midfield. Of course, Fred could be selected instead but the Brazilian hasn’t impressed under the current boss. Paul Pogba has bundles of energy so there’s no reason why the 2018 World Cup winner won’t start at Craven Cottage. Marcus Rashford is certainly Ole’s favourite attacker so can be given a rest for this one with Romelu Lukaku coming back into the striker’s role. 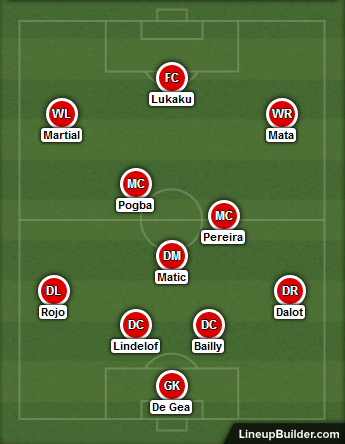 Expecting to see Jesse Lingard and Alexis Sanchez start versus PSG, I think we’ll see Juan Mata down the right looking to open up the Fulham defence, and Anthony Martial running at the Premier League’s poorest defence from down the left. Wow a very nice lineup!